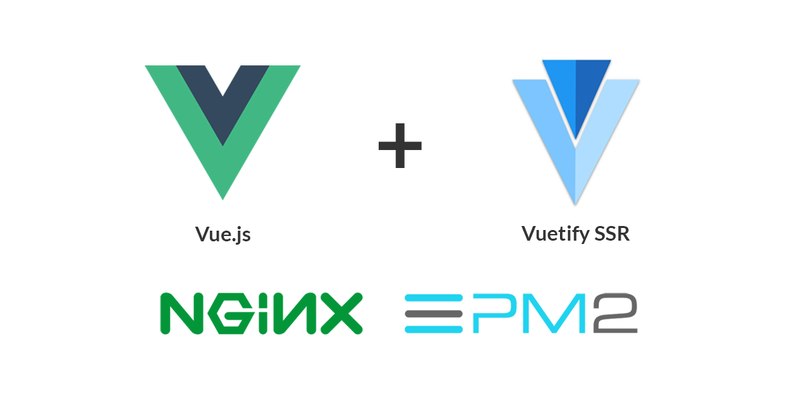 In this article am going to show you how to deploy a vue (made with nuxt for server side rendering) project to digital ocean or any other hosting provider.We are going to use pm2 (production process manager) for Node apps and and Nginx for reverse — proxy. We are going to use nuxt to make our vue project which will allow us to do server side rendering which is essential for seo. To get started start by running this command to start a vue(nuxt) project. Replace <project-name>with the name you want to call your app. We need to build our application which will bundle all the application assets and later we can run the application. Run the following commands to build and start our application on port 3000 which is the default port that nuxt runs on. Pm2 is a production process manager that helps us to keep our app alive at all times.it also restart the application during boot time offloading us the task of restarting our application every time we power on our computer. Now that we have pm2 installed run the falling command to start our vue app with pm2. Incase you rebuild you app and want to restart you app you can run. Where app alias is the name of your app. Now that we have our app running on port 3000.We need a way for users to connect to it.Luckly nginx provides this for us. The nginx setup is quite simple. Replace the file content with the following configurations. If your application is set to listen on a different port you should update the port number to the one your application is using.in this example i will use port 3000.Also replace the server_name with your domain name. Confirm that your configuration is correct by typing. Now that everything is setup restart nginx and visit your site on the browser.For example if you site is hosted at the domain https://kenyaappexperts.com visit it and you should now see you site up and running. Now we have our vue.js (nuxt) application running.Everytime you make changes you should make sure you alway rebuild your application. You can also enroll for our free vue.js courses at https://codesahara.com.